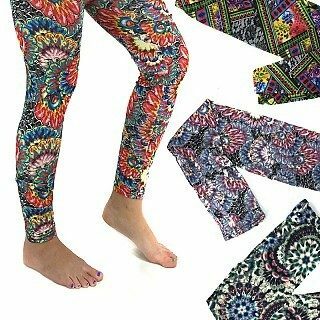 2 Pairs Of Printed Leggings in Assorted Colors Only $11.99 Plus FREE Shipping! You are here: Home / Great Deals / 2 Pairs Of Printed Leggings in Assorted Colors Only $11.99 Plus FREE Shipping! Let your wild side out of hiding! These 2 Pairs Of Printed Leggings in Assorted Colors for Only $11.99 Plus FREE Shipping are stretchy and comfortable; perfect for yoga, school or a casual night out!